NEW YORK (Hypebot) – Before social media was a thing, the Beastie Boys were laying out beats and rhymes that inspired a generation. Since 1986 they have had seven albums that went platinum (or better), sold 22 million albums in the US and 40 million albums worldwide, making them, according to Billboard, “the biggest-selling rap group” since 1991. Growing up in the 90’s around New York City, I was influenced by the vocal stylings of my three favorite MCs and musicians, Mike D, MCA and Ad-Rock. Even after all this time, I still like my sugar with coffee and cream. 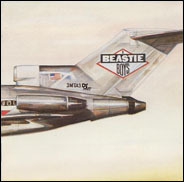 These days however, there is much less dancing around my room to License to Ill, Check your Head and Hello Nasty. But I still blast Intergalactic and No Sleep till Brooklyn in my headphones while working at HootSuite’s Vancouver headquarters, and it got me to thinking: Some of these (poignant, ahead of their time) lyrics would make excellent social media lessons. So, what to do? I decided to bring both worlds together. You’re going on vacation to Hawaii for the next week?! Ugh, I’m jealous… and I’m hoping you took time to schedule posts for your social media accounts. Even though you may be mentally checking out of work for the next week- that doesn’t mean your followers are as well. Instead, check your head, and be sure to populate your queue beforehand with tweets, posts, or other material that won’t leave your followers wondering why you are MIA. Scheduling your posts is an easy way to maximize both your presence and outreach in your social sphere. If you are using HootSuite, the dashboard makes it easy to schedule posts for your accounts. On social media, it is not all about you. Big brands have always been involved with community and philanthropy, and are now amplifying their involvement on social media. This can be a great way to engage with your market. By creating a sense of “we’re all in this together,” you grow a connection that goes beyond your products. Back in February, New York City OG @adrock posted a tweet that had nothing to do with himself, and everything to do with his friend Brent Arnold. Brent had started a Kickstarter project for his solo cello album, and of course his friend Adam was right there to support and promote him. I bet you knew this was coming… On social media, you are an ambassador for your company or brand. This means fighting for what you believe in, whether it be your strategy, direction or even certain Tweets. See something that needs improvement? Push back, respectfully of course, and make your opinions heard. Two heads are better than one, so get in there and voice your opinion. Man, listening is important. If you’re running the social media for your business, listening to your audience is essential. Without listening you may be missing out on vital information, and opportunities to engage. Is your product having issues? You’ll probably find out on social media. Is there discontent with competitors – you’ll find out on social media… Are your own employees having issues with the company – find out on social media. Consumers are taking to Twitter, Facebook, Google+ and LinkedIn to look for jobs, find recipes, hear news alerts, even to find out what to wear on Saturday night. In the ever changing environment that is social media, it is impossible to know what content to produce without first listening to what your audience is saying. If you need insight on social listening, well it’s your lucky day. Check out our Intro to Social Listening with HSU. So there it is. The Beastie Boys not only continue to bring the rhymes and the beats… they’re bringin’ the social media knowledge as well.